It has been a long journey since I was first elected in 2006 to get to the historic Komagata Maru apology delivered by Prime Minister Justin Trudeau in the House of Commons on Wednesday. I first rose in the House in 2007 to urge for such a statement, only to spend several years being ignored and dismissed by the former Conservative government. It was frustrating to watch how the issue was treated as a political tool to attract votes. There were dozens of meetings with the Professor Mohan Singh Memorial Foundation, several Gurdwaras and other community organizations, and annual speeches made at the Mela Gadri Babian Da, but never any action taken. Prime Minister Trudeau’s approach to the tragedy is very different. The formal apology is being delivered to correct an historical wrong, and to continue to improve in the way that we govern. More importantly, this simple act is part of the Government of Canada’s understanding that examining our past can help to build a better future. 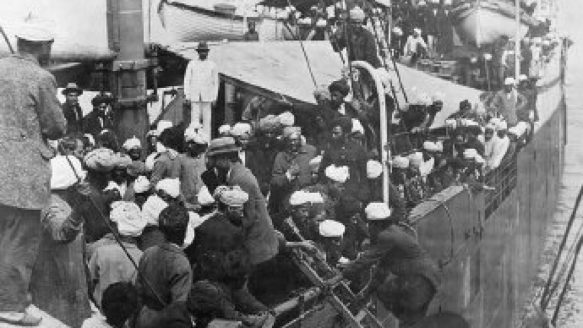 Whether it is adopting recommendations from the Reconciliation Commission of Canada regarding the terrible abuse within the Indian residential school system, or officially issuing an apology in the House of Commons for the Komagata Maru incident, the Liberal government believes in making changes from our past mistakes. This kind of recognition not only offers atonement, but also charts a different way that we as a government designs, implements and reviews policy. By always placing a priority on basic human rights, equality and inclusion, every piece of legislation we introduce will be guided by the lessons learned. From a personal standpoint, the apology marks one of the highlights of my time as a Member of Parliament. This has been an important issue in Surrey-Newton and amongst thousands of my constituents since the first day that I was sworn in. I have been aggressive in my attempts to advance towards the recognition that was just achieved, and I never gave up hope that we would one day get to this point. I am also very proud to be a part of a government that does not run away from taking responsibility to bring closure to the Punjabi community within Canada, and across the world. In a moment like this, I am reminded why I so passionately believe in public service.